During this interview, you’ll learn that therapeutic cupping is a wonderful healing modality and can be enjoyed by most everyone. 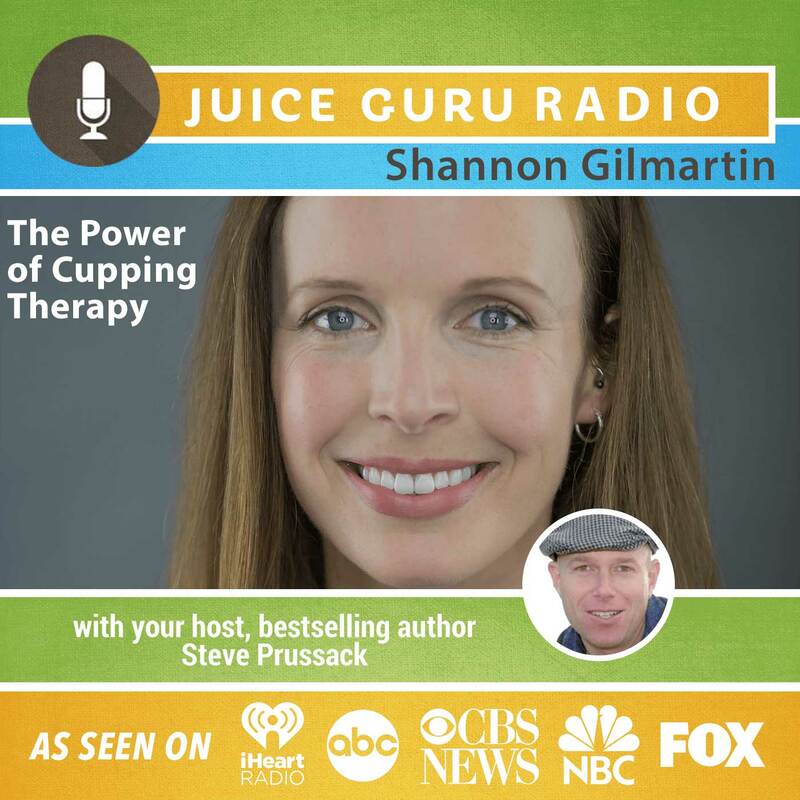 Join us with guest Shannon Gilmartin, author of “The Guide to Modern Cupping Therapy: A Step-by-Step Source for Vacuum Therapy”. What are the benefits of therapeutic cupping? What are the marks that happen from cupping? Are they bruises? Training in aromatherapy, bodymind integration, craniosacral, deep tissue, lymph drainage, medical massage, myofascial release, neuromuscular therapies, orthopedic massage, soft tissue injury rehabilitation, sports massage, Thai massage & Eastern theory, and visceral manipulation, as well as her specialized training in cupping and vacuum therapies have all been incorporated into Shannon’s 15+ years of experience in therapeutic bodywork.